Typically, a scholar can expect to spend 15-20 hours a week studying, training, coaching and competing at a match day. Here is an example of a 1st year scholar’s timetable. 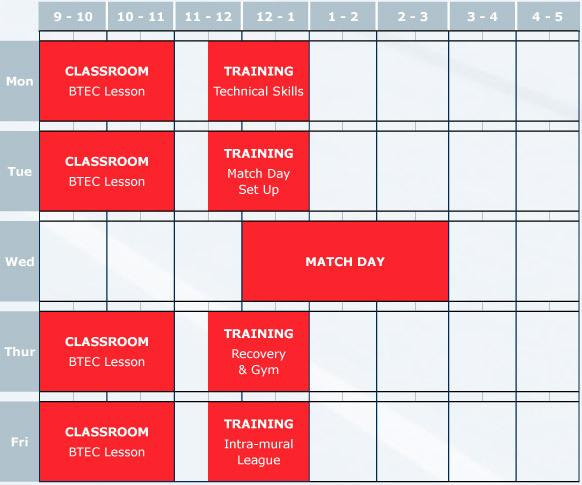 The timetable gives us the chance to learn the theory and then implement this in practical coaching sessions.